Are You In An Artistic Slump or Just Learning? When you first got your camera, I’ll bet you took a photo of just about everything. I know I did. 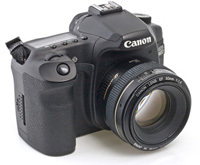 When I got my first SLR, I could barely walk ten feet on a trail without stopping to photograph something. I probably photographed every flower or insect I saw. But, then that pace starts to slow down after you have your camera for awhile. In the beginning, maybe you’d come home with over 400 photos on your memory card, but then after a few months it turned into 200, and after a year it might even get as low as 50 per day. What happened? At first you might think you’re losing interest in photography, or maybe you’re in some kind of artistic slump (just like baseball players who sometimes go 40 at-bats without a basehit). But, before you declare you’re in a slump, take a look at the photos you’ve shot over the past year. And, ask yourself if those photos have improved with time. Is that photo you shot last weekend better than the one you shot two years ago? Did you learn something new with each photograph you took? I’ll bet you’re not in a slump at all. I think you’re just learning more about what makes a good photo. And, most of all, you’re learning that good nature photos require patience. Maybe you’re shooting less photos today because you now have higher standards for your photos, and instead of photographing everything, you’re choosing your compositions carefully and patiently. Since the natural world is full of uncontrollable subjects, those great compositions are hard to find. 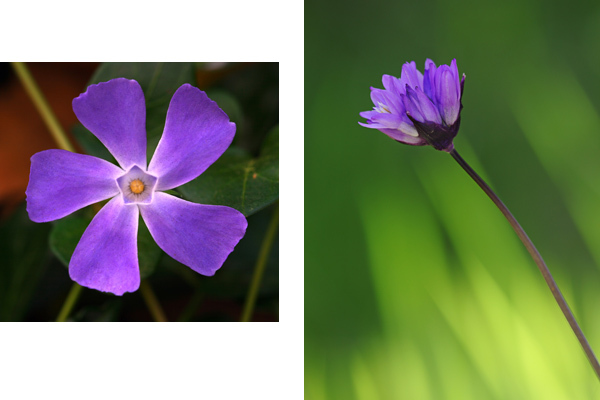 For example, when I shot the photo below on the left, I didn’t realize how important the background is for close-up photos, so I didn’t spend too much time looking for the best flower to photograph. So, before you declare that you’re in a slump, take a closer look at your photos. Maybe you’re not in a slump at all, maybe you’re just shooting less photos because you’re passing up more “bad photo” opportunities. I love your quote in the last part of the article. Think quality, not quantity. I can relate on what you’ve said and it made me realize that i’m not really a slump but i’m gradually learning photography. You really got me there. And I agree with Daryl, regarding that quote. Another…on the target article Steve! I so much appreciate your insight in this journey! Thanks for your great thoughts and amazing photography! about not taking my camera every time I leave the house, though I know it’s a good idea, but there’s not a lot of lovely green countryside here on the Spanish Costa blanca. I know a lot of people who feel this way. They get very frustrated and think that what they do naturally, which is take fine photos, is not working for them anymore. Typically what it needs is getting out of their comfort zone for a shoot or two to add a fresh perspective. And, as you quoted so well: quality, not quantity is certainly better.